Bel Furniture will occupy a large distribution center in Katy. KATY, Texas – Bel Furniture will open 415,296 SF of new showroom and distribution space at West Ten Distribution Center on Interstate 10 at Cane Island Parkway in Katy, west of Houston. The two-building project includes a 74,793-square-foot showroom and 340,503-SF of distribution space. The spec project was built by Transwestern Development Co. on 75 acres Transwestern purchased in 2014 from Houston-based Parkside Capital. Transwestern’s Brian Gammill represented the owner and Billy Gold of CBRE represented Bel Furniture. In 2014, Transwestern Development Co. purchased 75 acres in West Ten Business Park, a 450-acre, master-planned park, from Houston-based Parkside Capital for an undisclosed amount. More than 42 acres of the original purchase are available for future development, build-to-suits or sale to end users. Bel Furniture has evolved into one of the foremost furniture retailers in Texas with over 350 employees, 15 locations and three distribution centers throughout Houston, Humble, Webster and Beaumont, including a mega showroom in San Antonio. 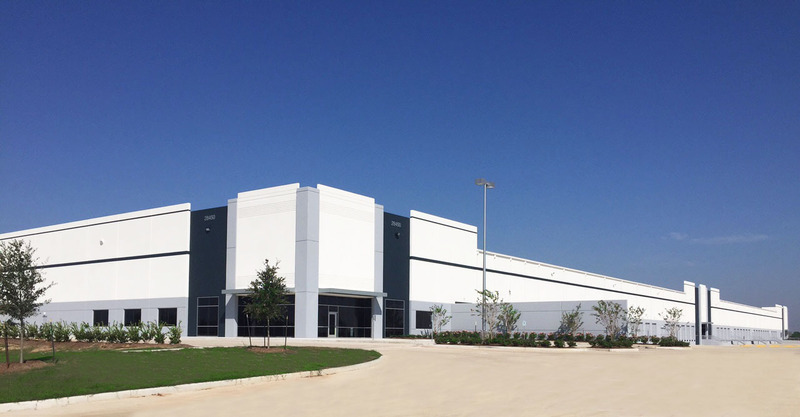 “We have been looking for an opportunity to open a large retail and distribution operation in west Houston to serve our expanding customer base, and West Ten was an ideal fit for us based on the quality of the new buildings, strategic location, visibility and access to Interstate 10,” said Jamal Mollai, Owner and Founder of Bel Furniture.